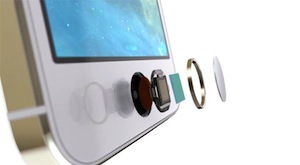 Despite what John Gruber asserts, criticisms of the Touch ID fingerprint reader appear accurate. If the purpose of this new tool is to reduce friction on the login process, it does succeed; but, if the purpose is zero friction, Touch ID fails. I’ve had the new iPhone 5s for about a week now, and I’ve been using the new fingerprint scanner as my default unlocking option. What follows are some observations on how this works, and what you might expect with this new tool.